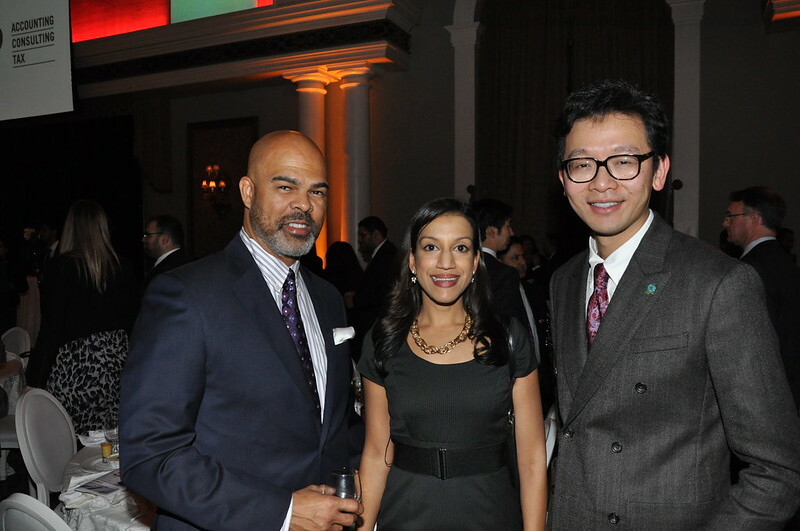 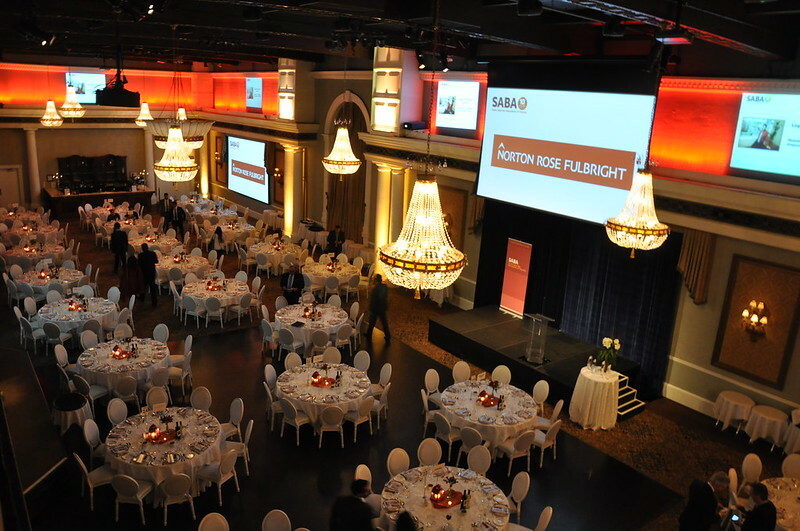 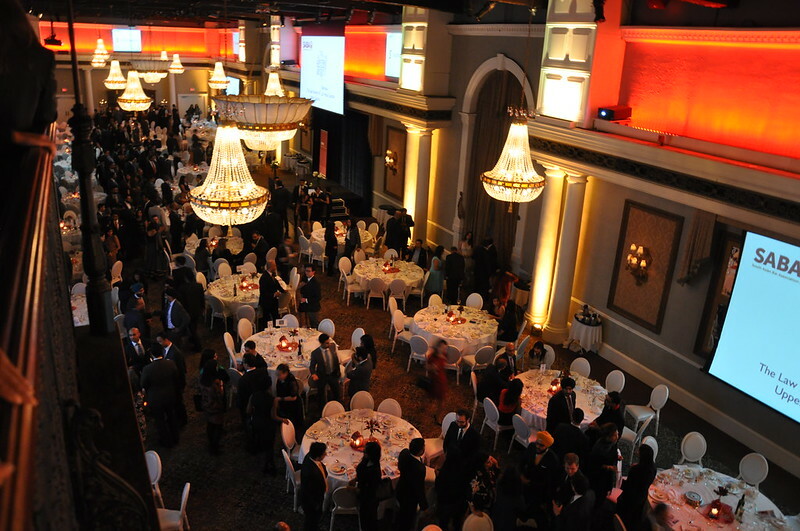 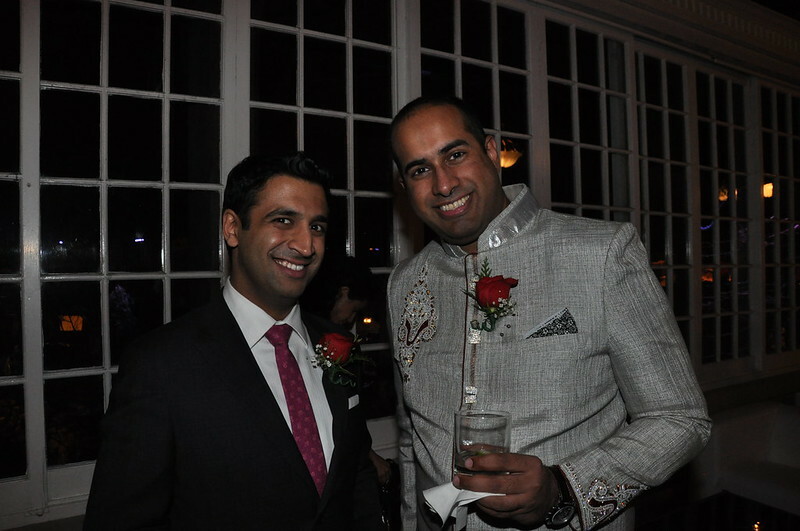 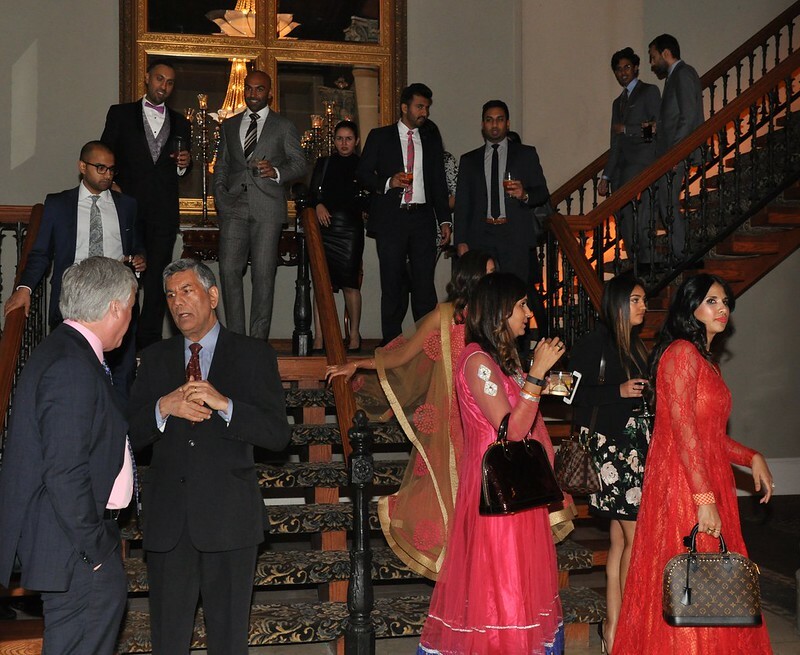 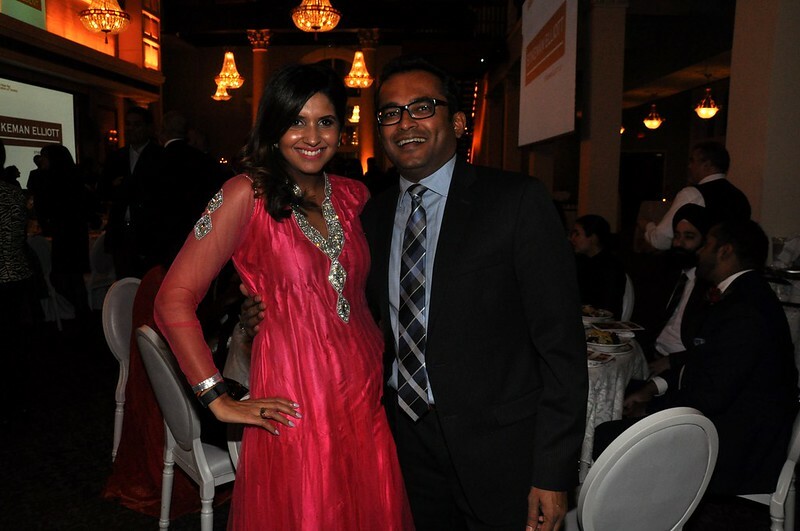 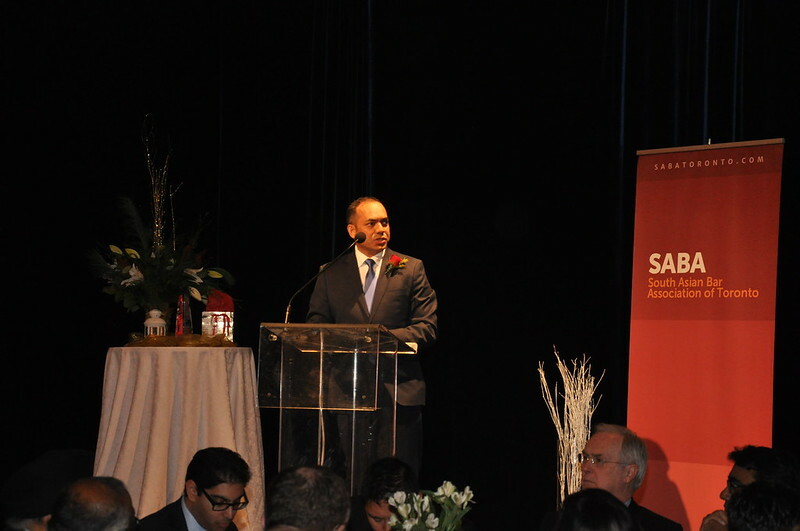 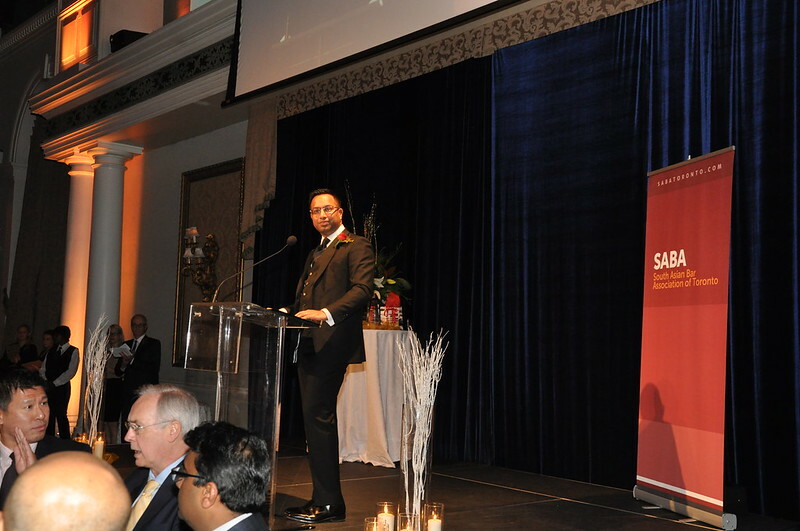 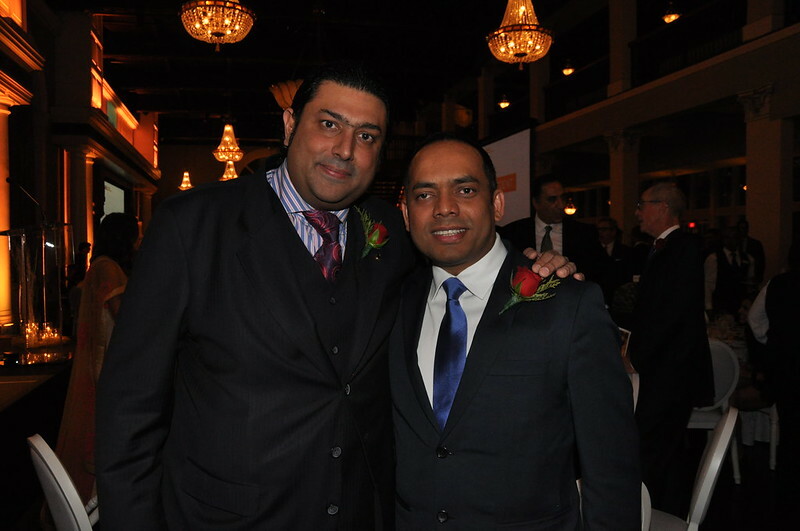 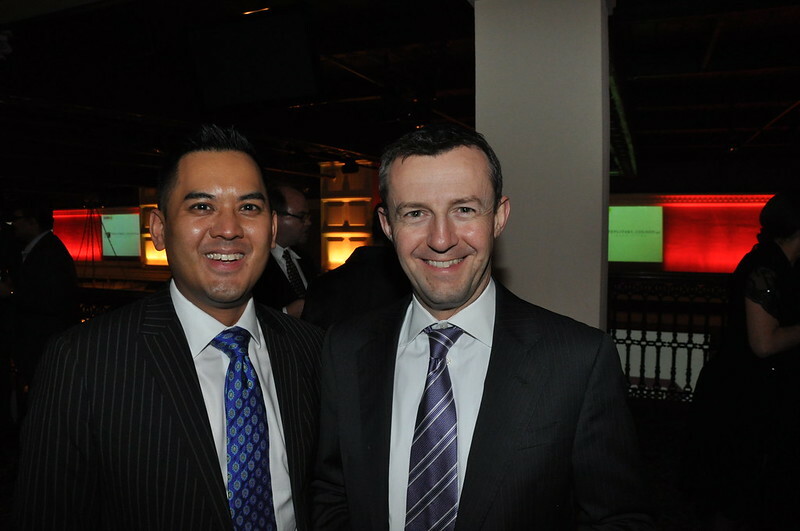 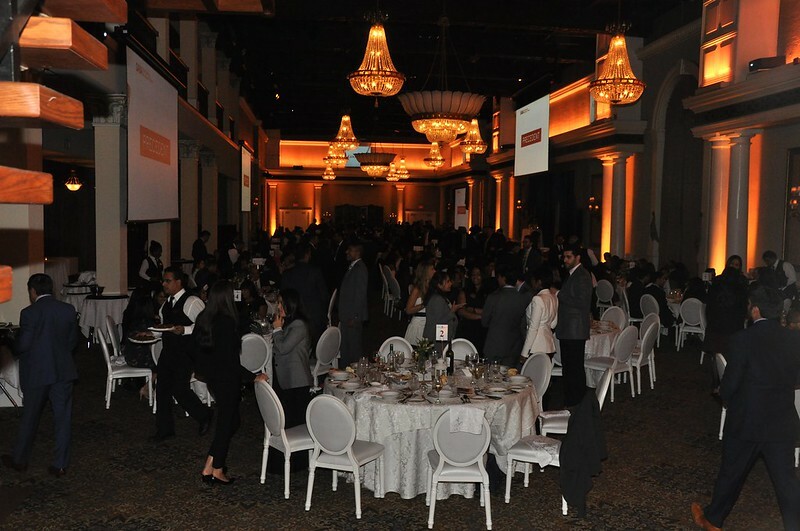 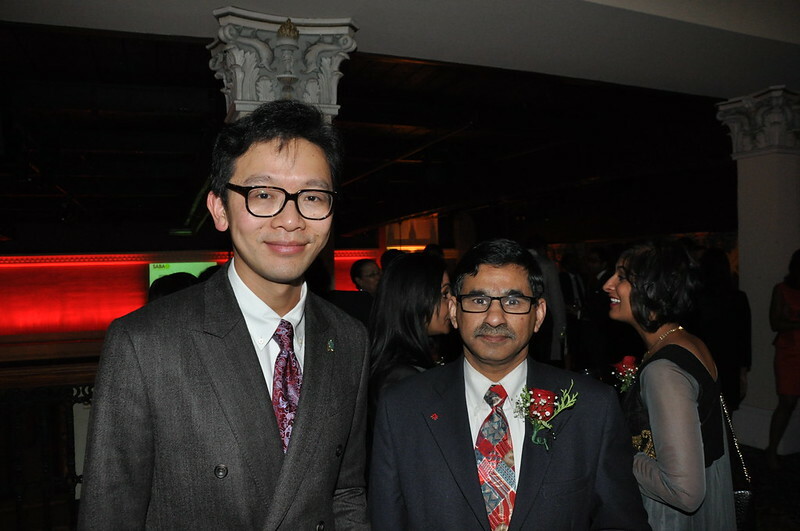 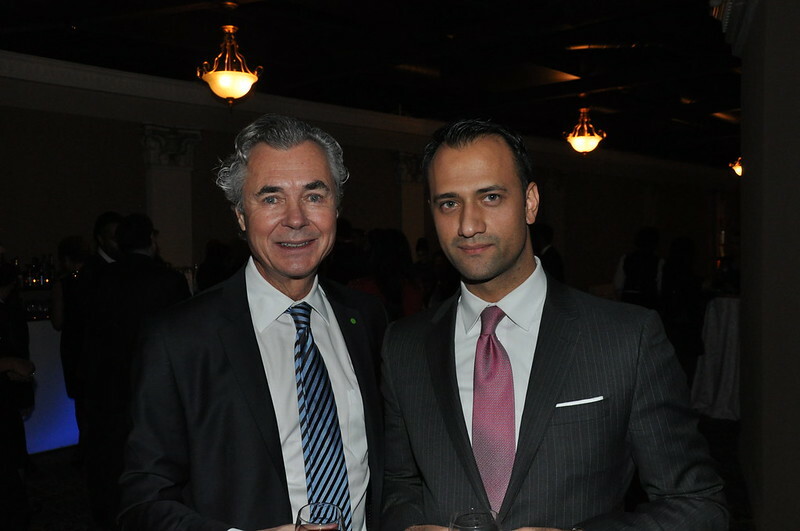 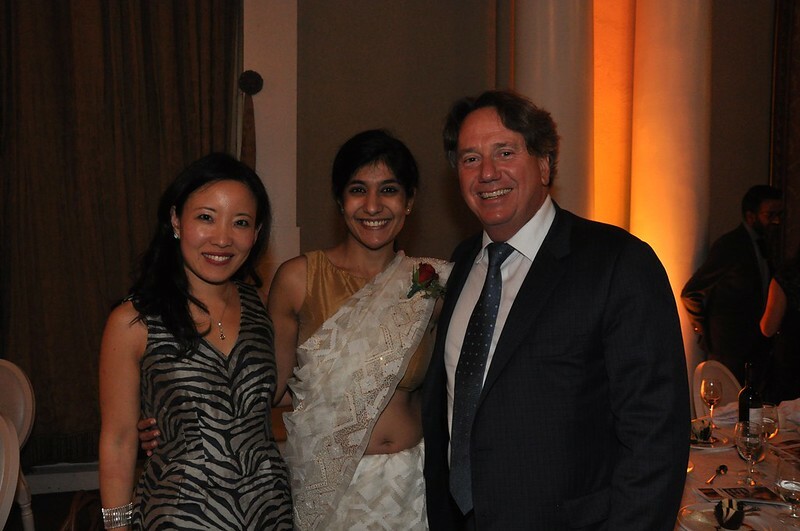 When Rais Bhuiyan began his keynote speech at the South Asian Bar Association’s Awards Gala, the sounds of clashing cutlery gave way to silence. 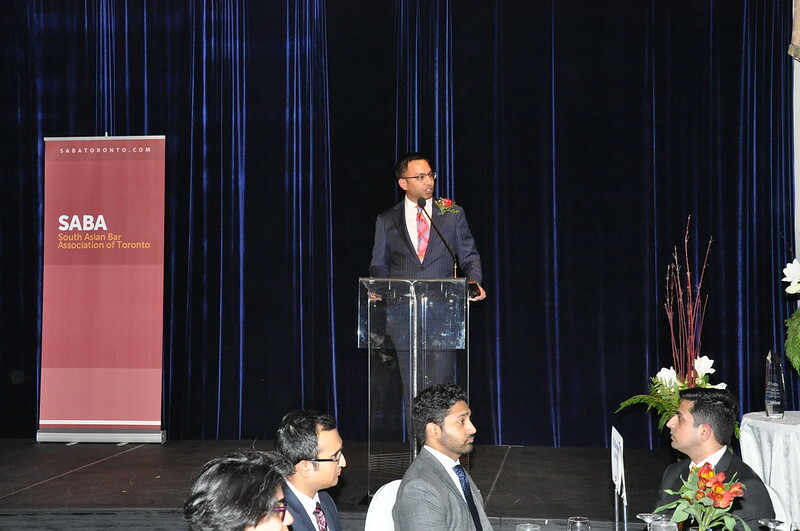 The audience of more than 380 lawyers, judges and politicians listened intently as the Bangladeshi man recounted the harrowing details of a hate crime. 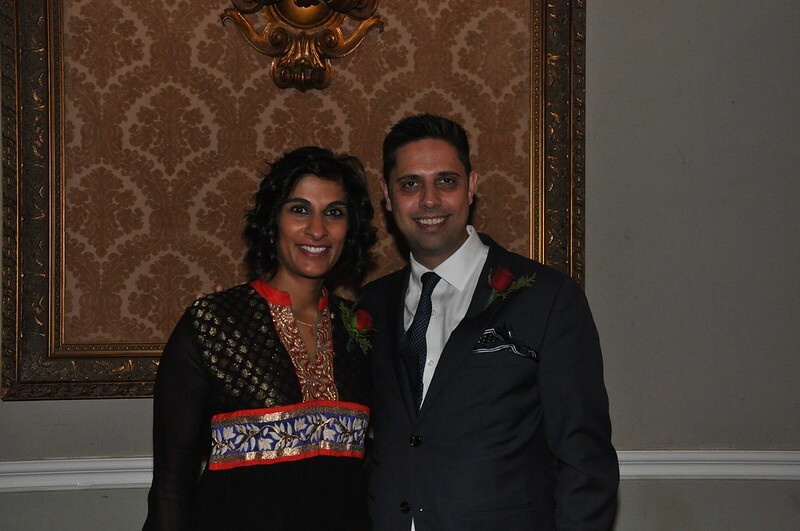 In 2001, he was living in Dallas — and 10 days after 9/11, a white supremacist on a mission to kill Muslims in retaliation for the attacks shot him in the face at close range. 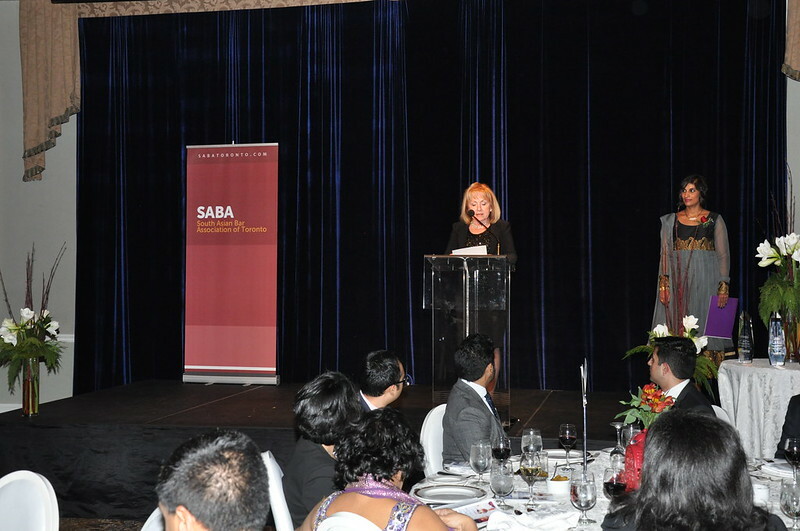 That compassion is why SABA had invited Bhuiyan to speak. 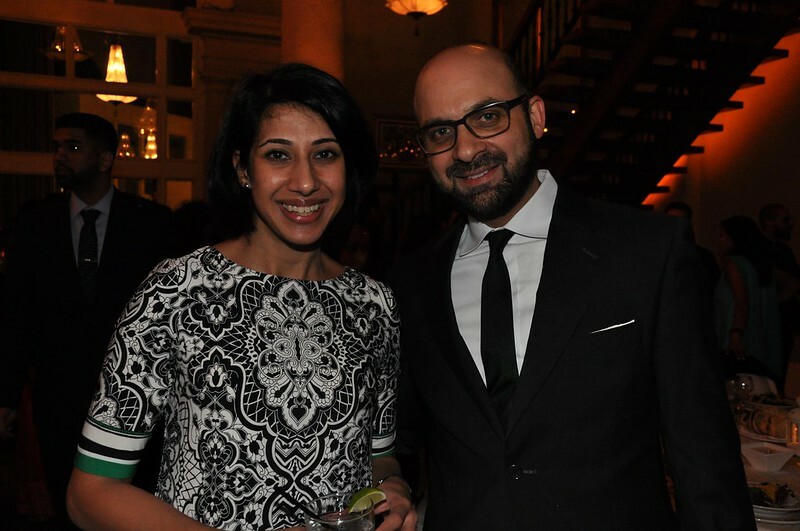 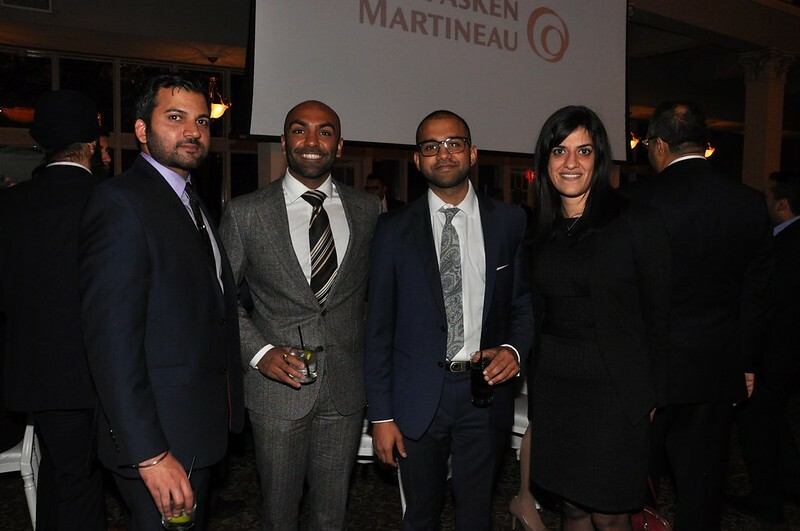 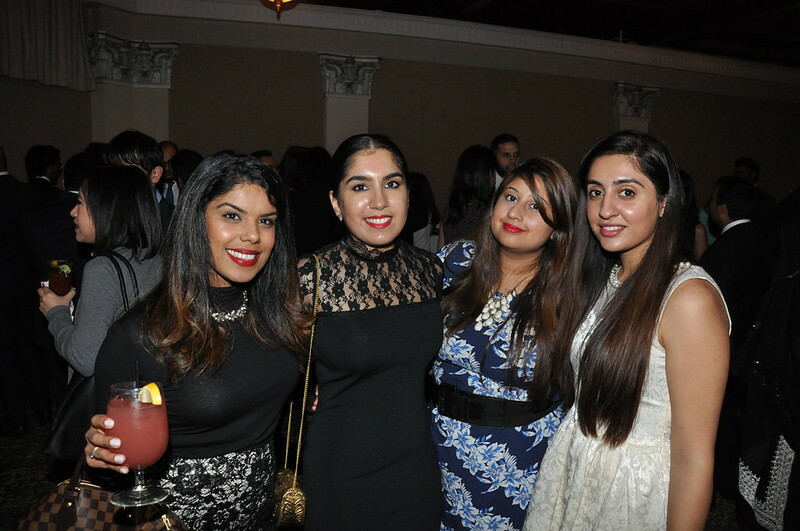 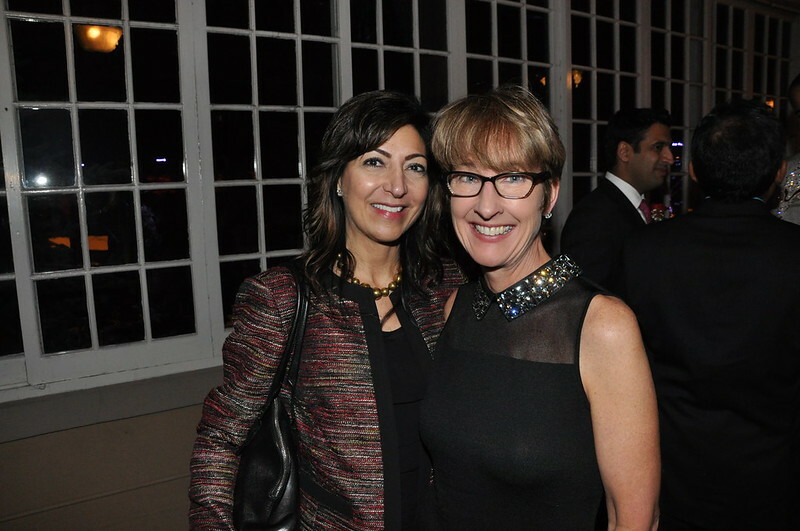 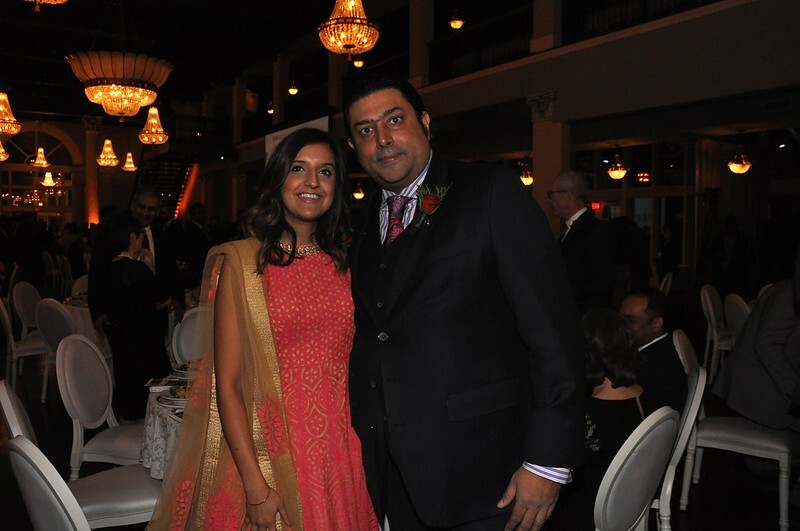 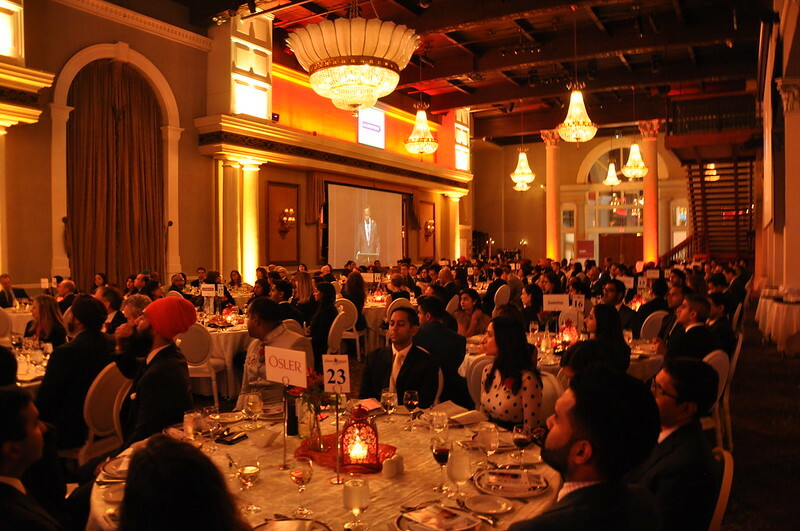 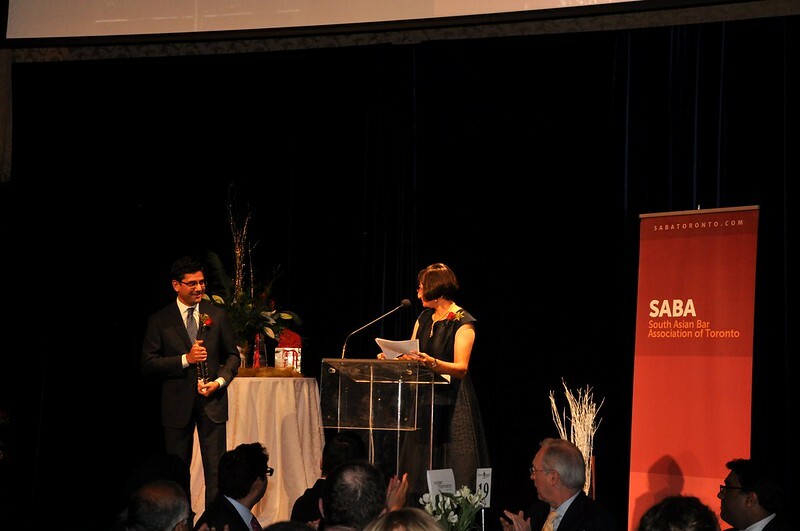 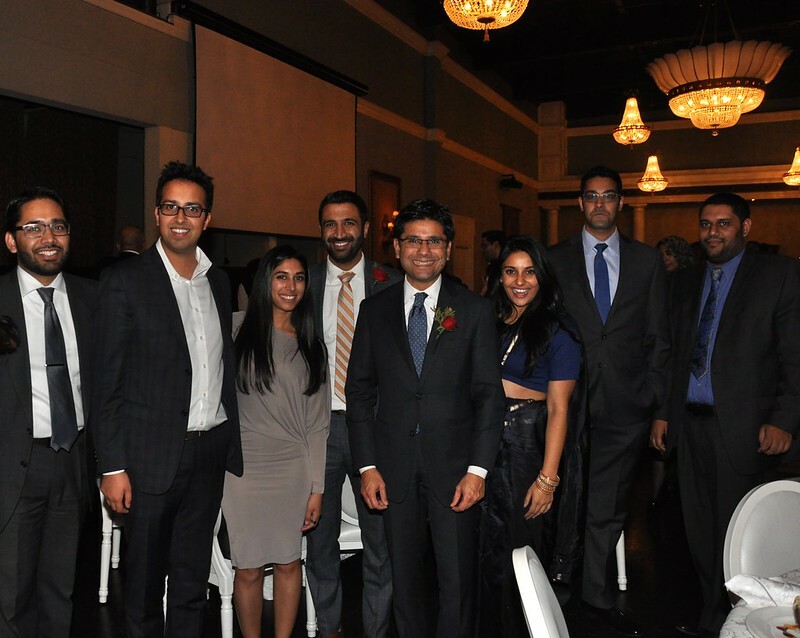 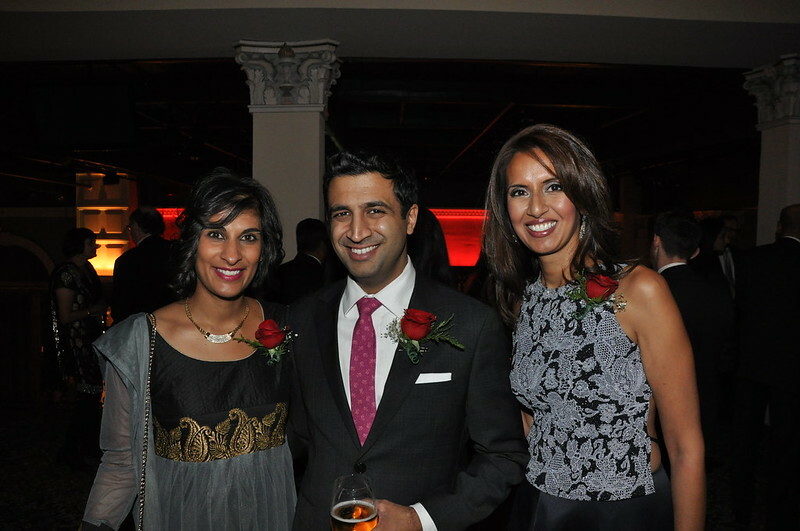 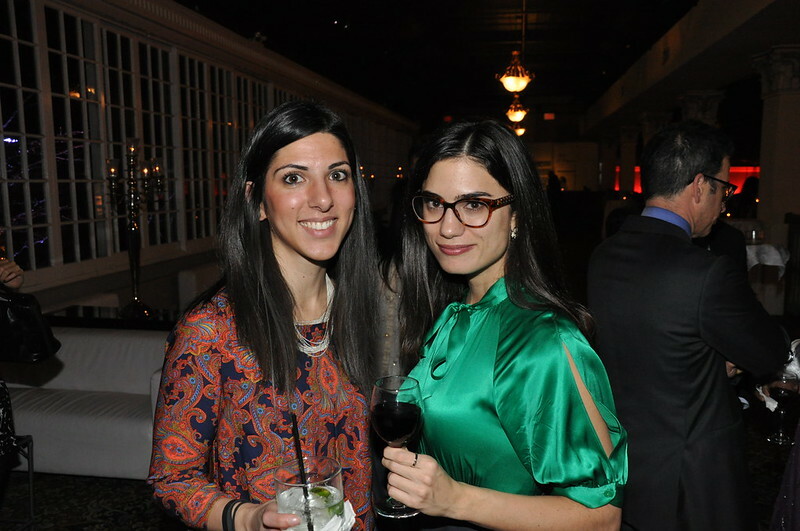 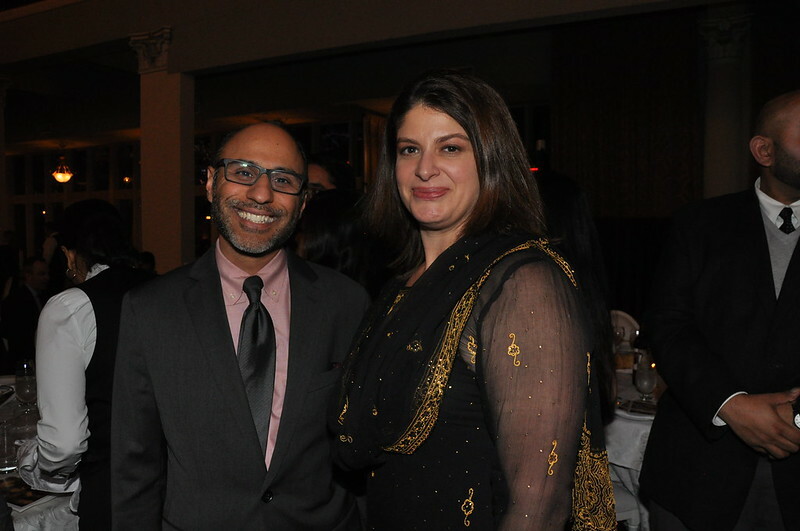 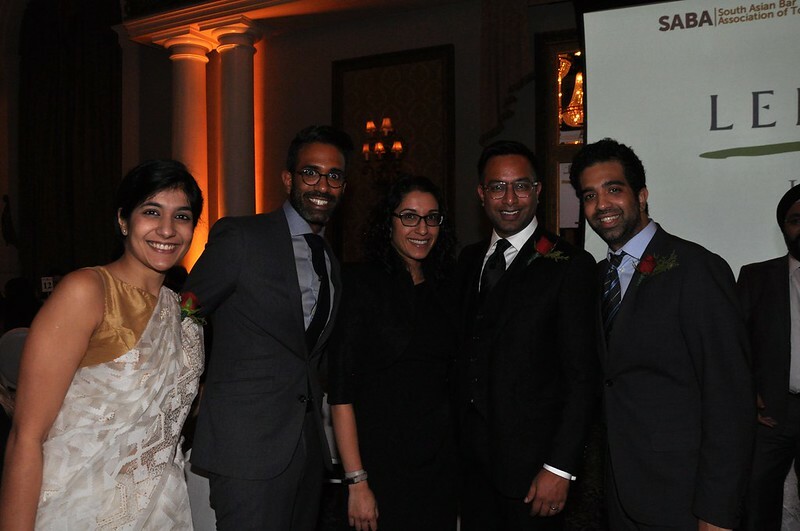 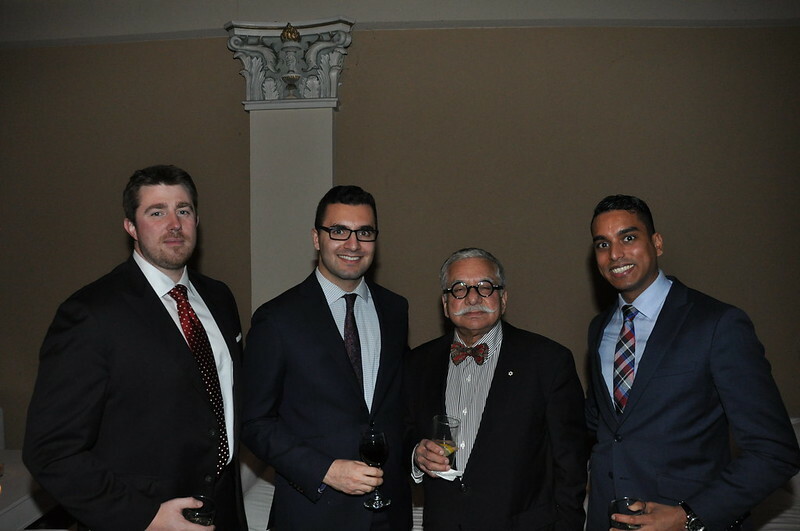 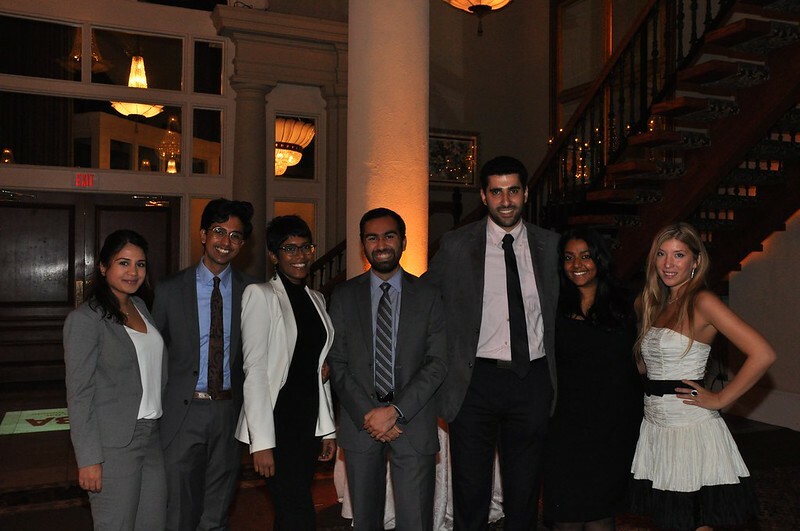 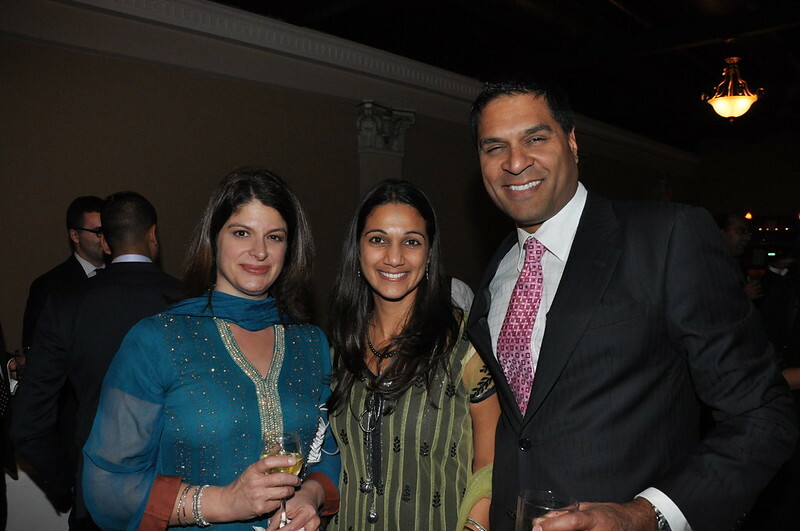 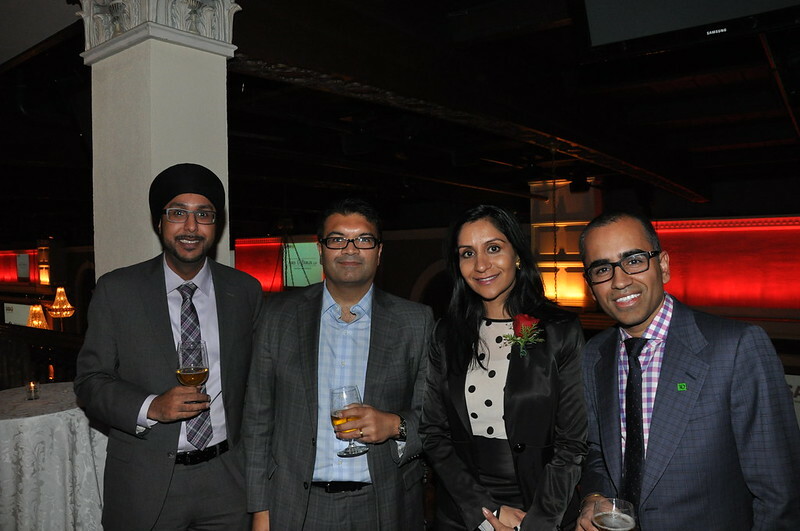 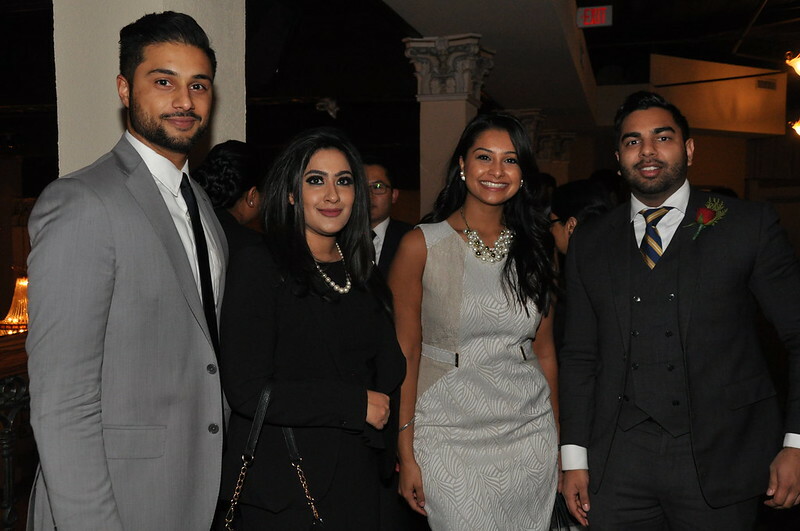 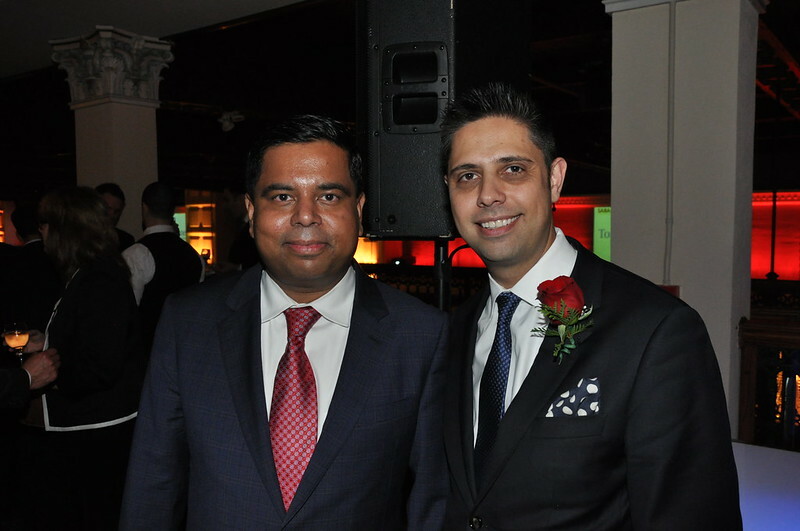 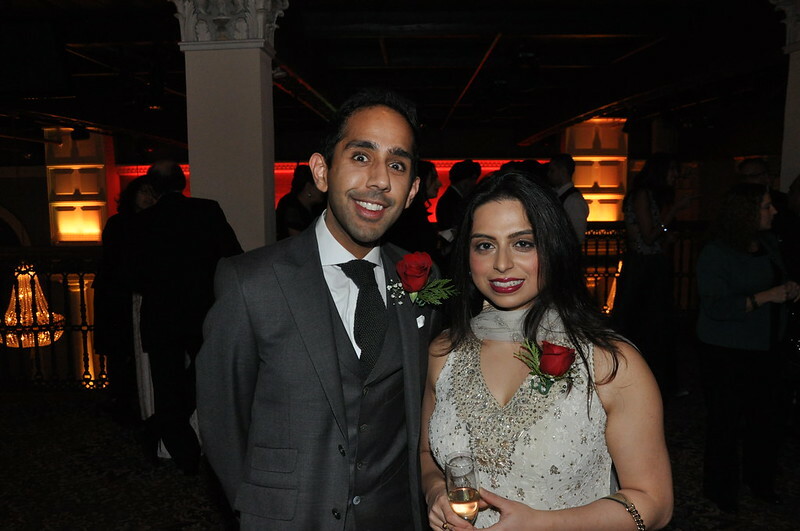 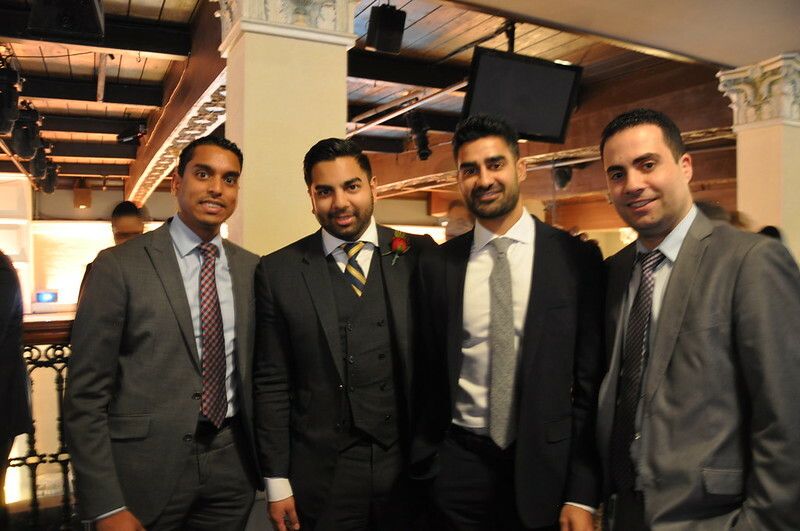 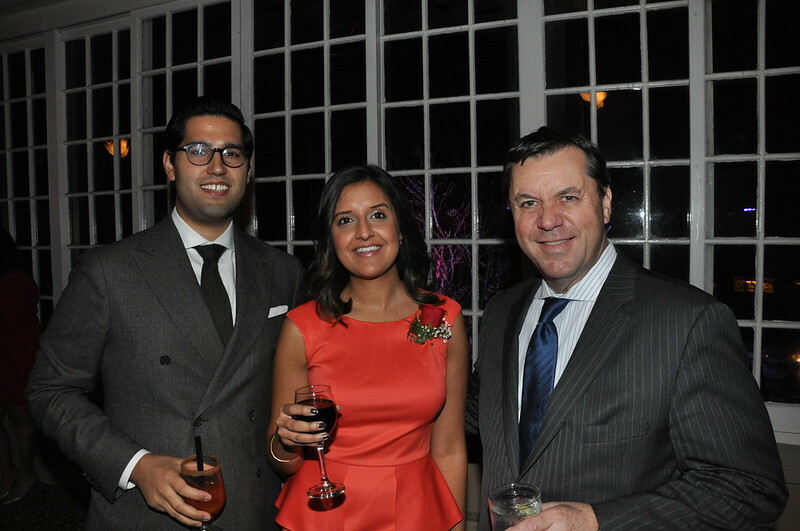 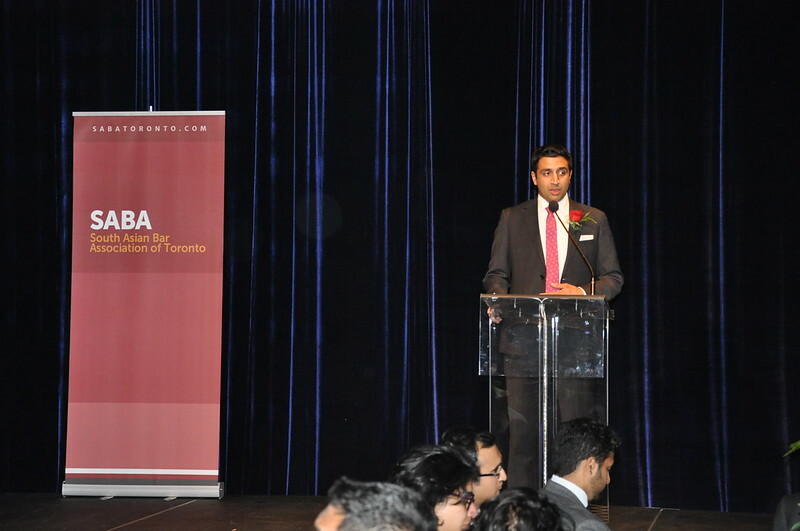 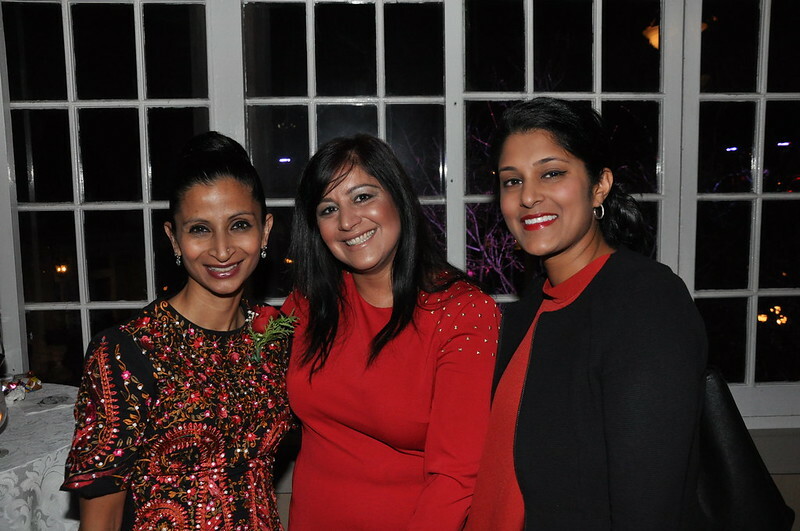 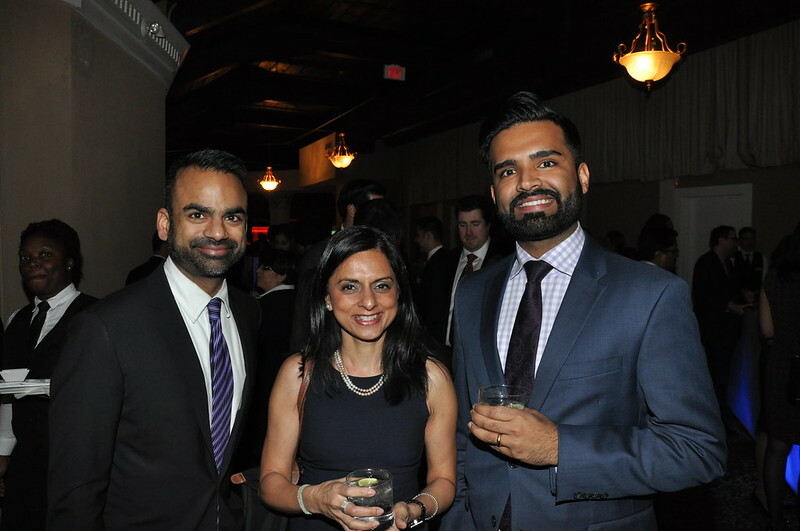 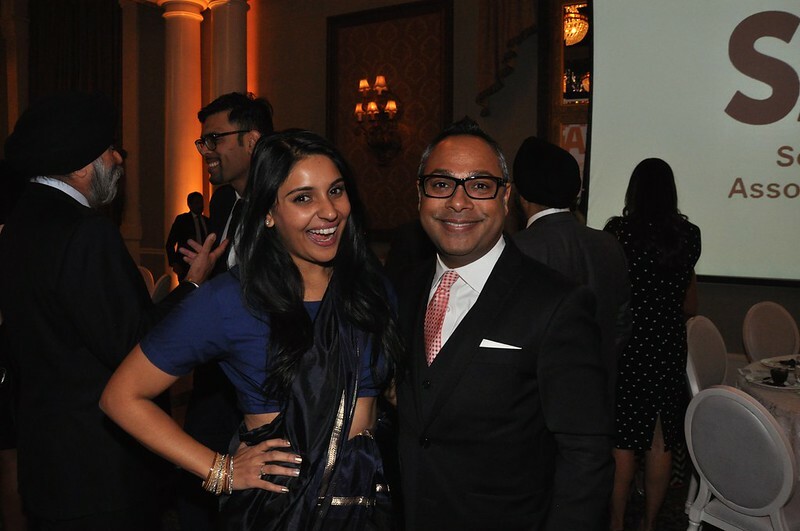 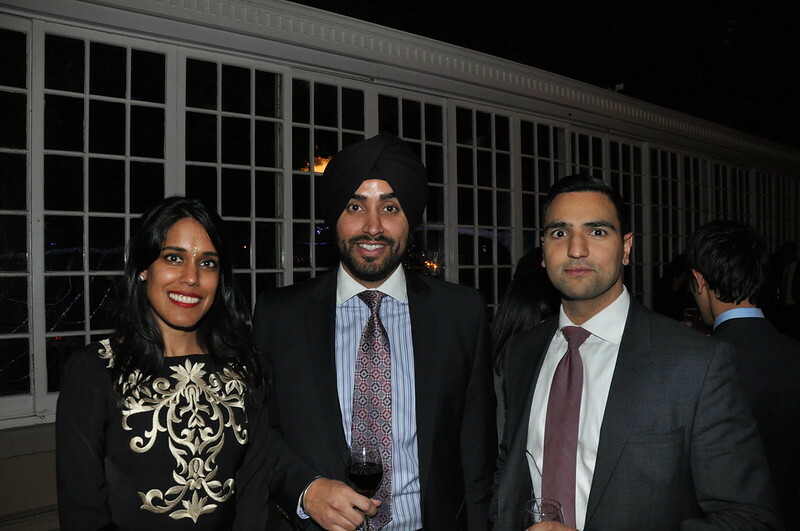 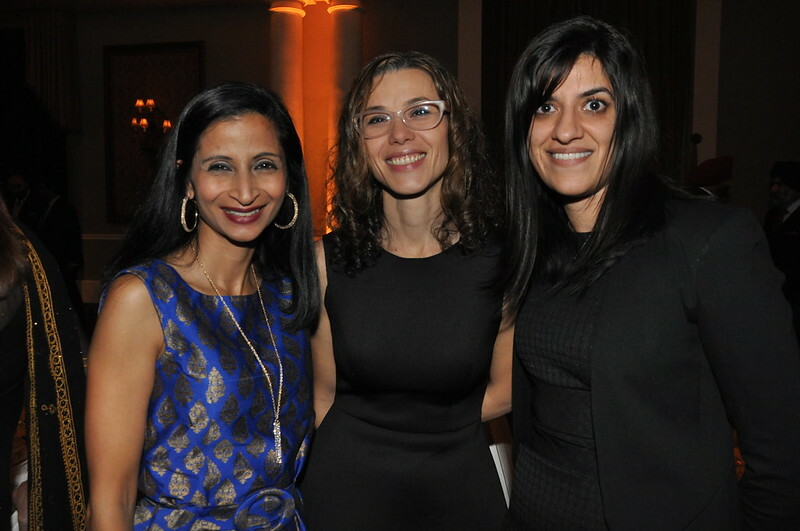 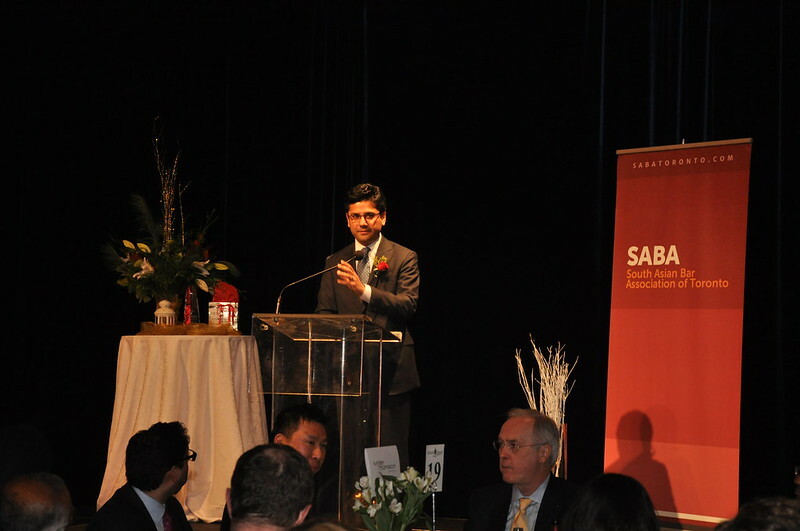 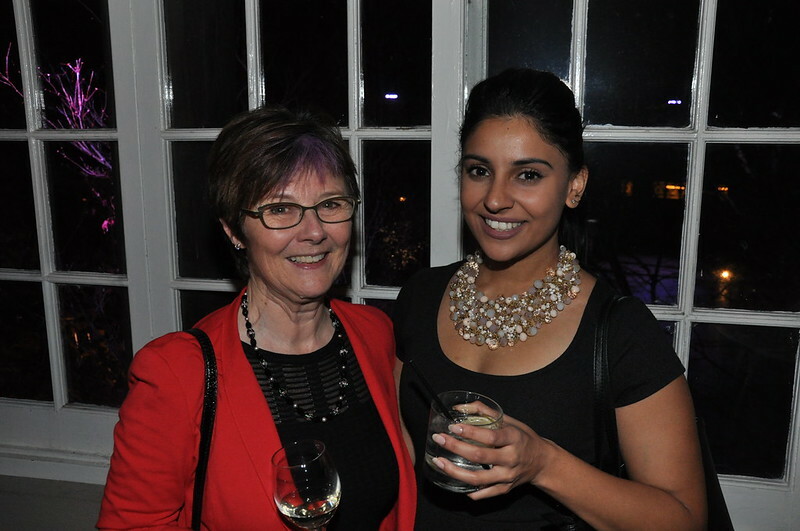 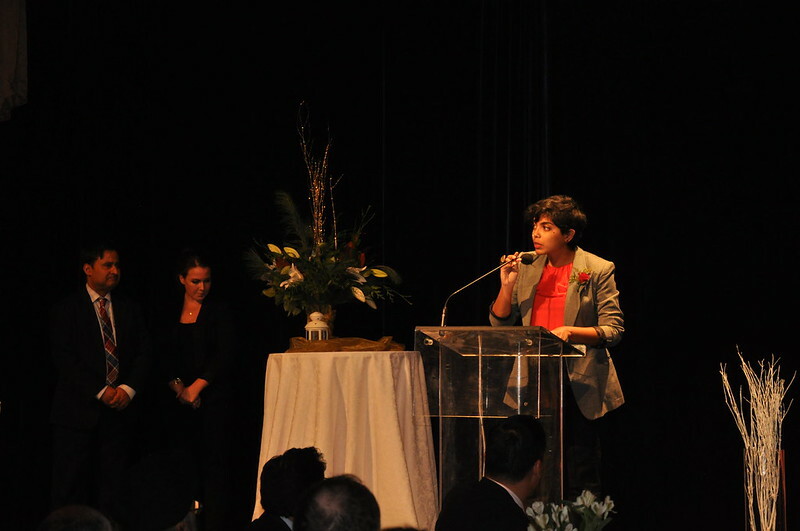 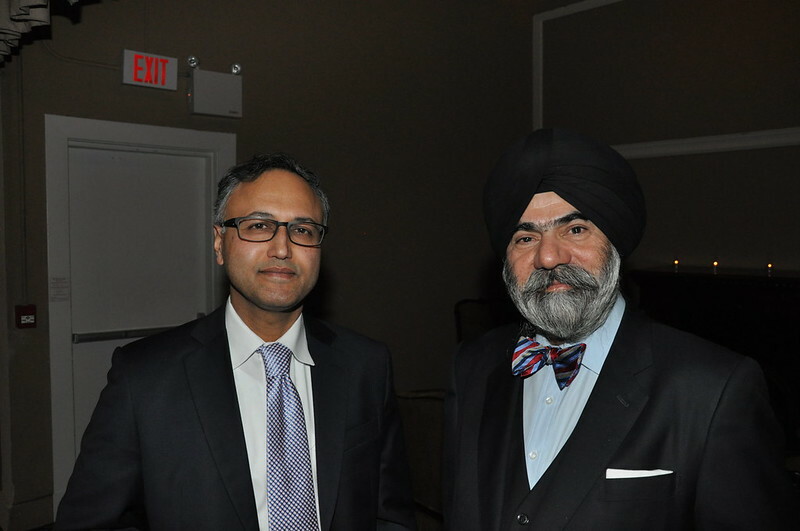 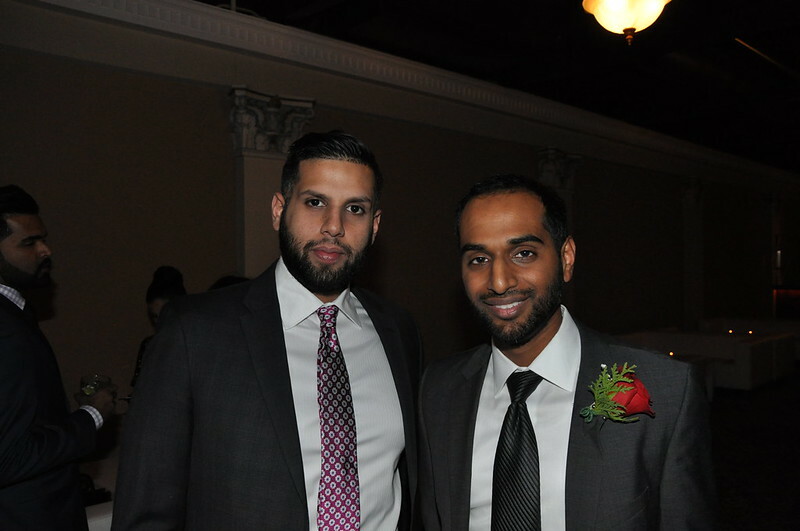 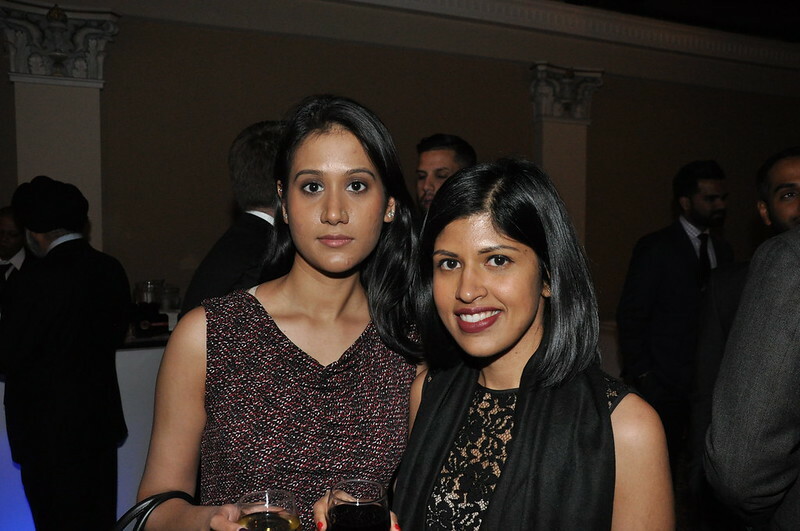 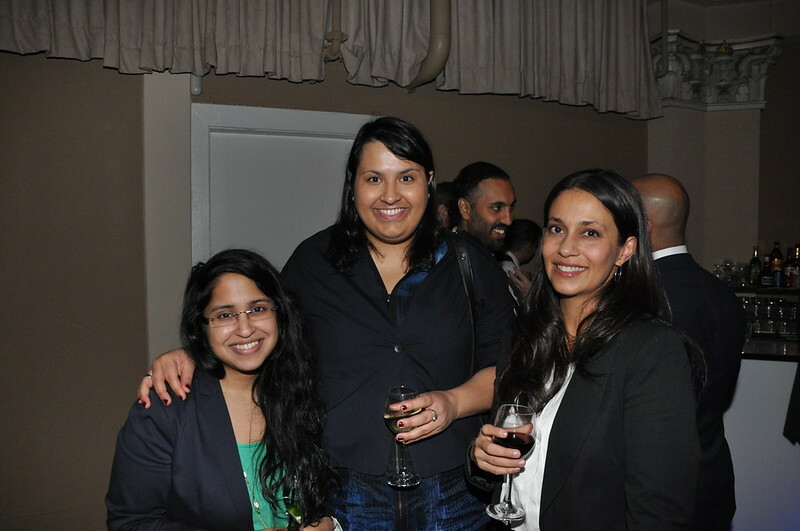 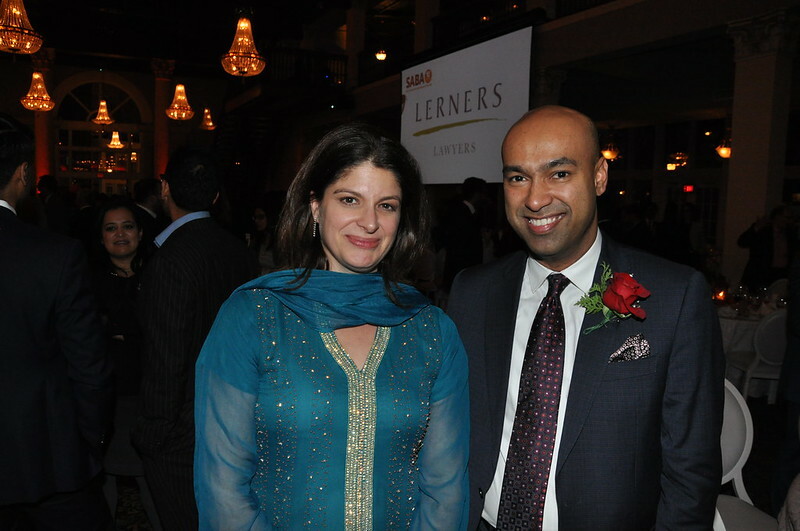 To that end, adds Agarwal, the group also doles out awards each year “to showcase South Asian talent.” At this year’s gala, Attorney General Yasir Naqvi humbly collected SABA’s Toronto Legal Excellence Award. 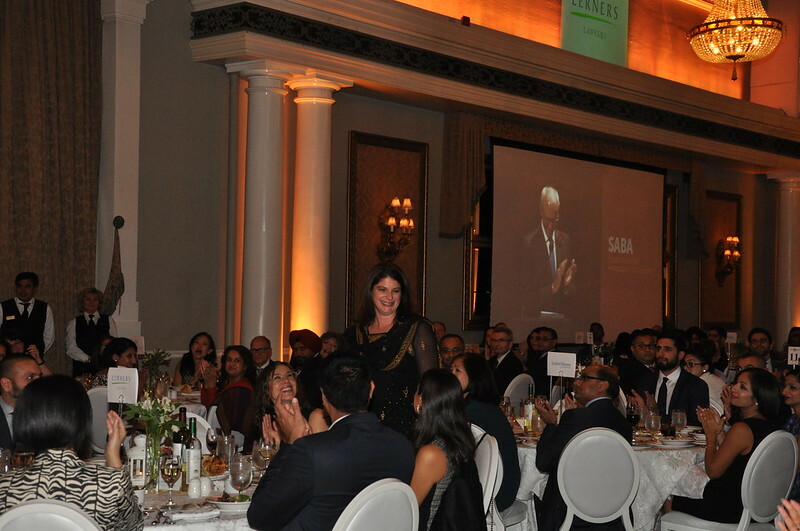 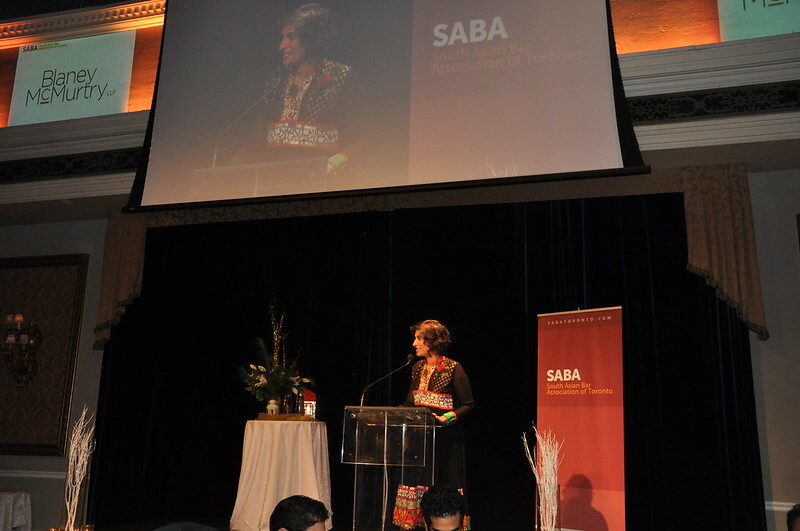 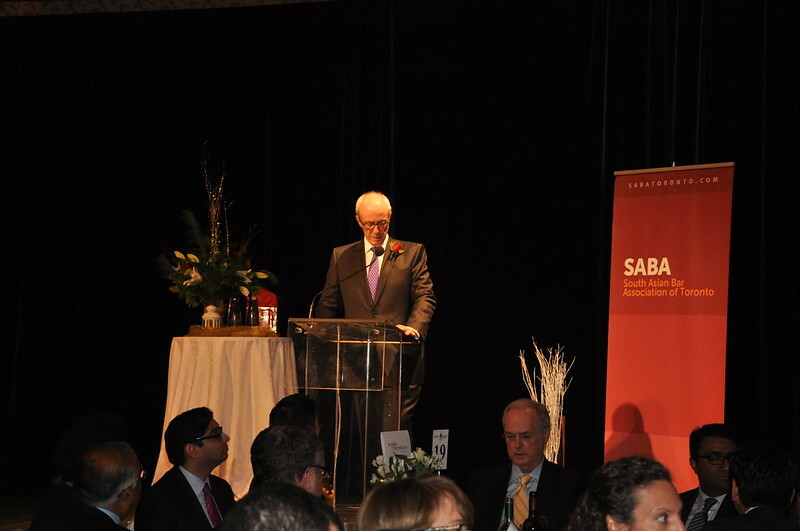 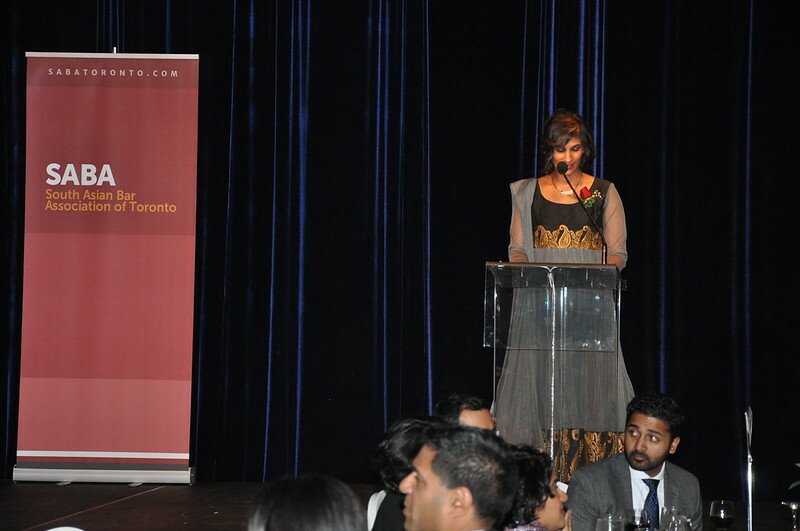 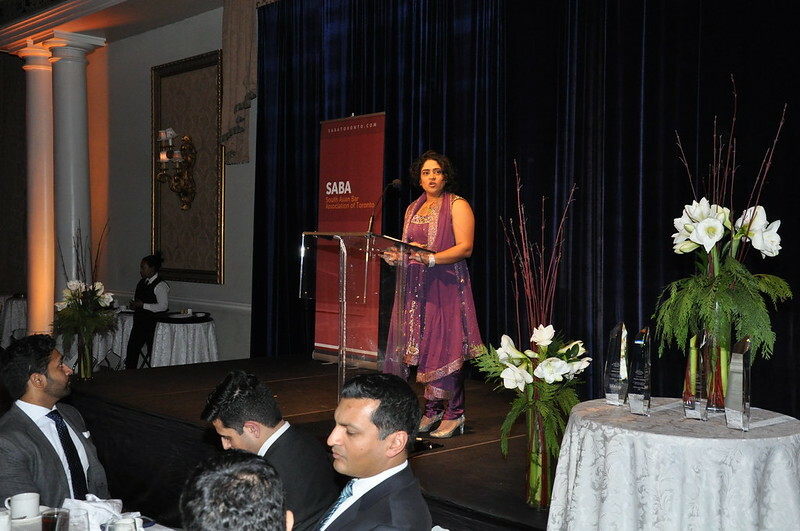 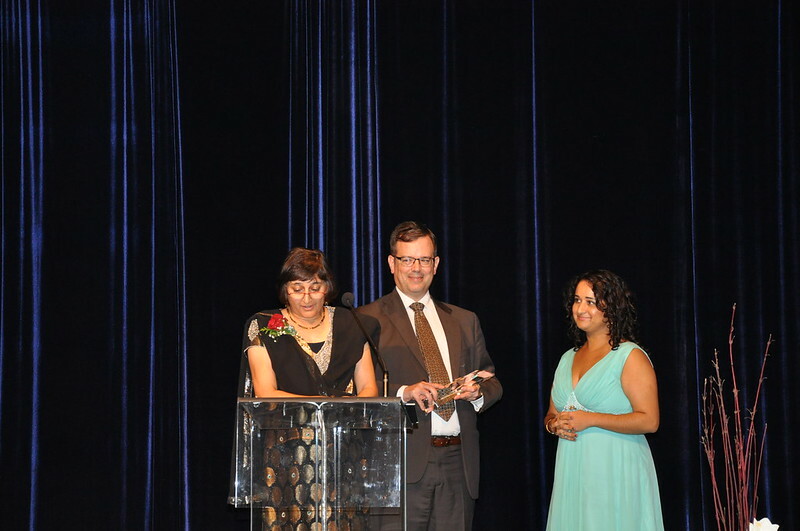 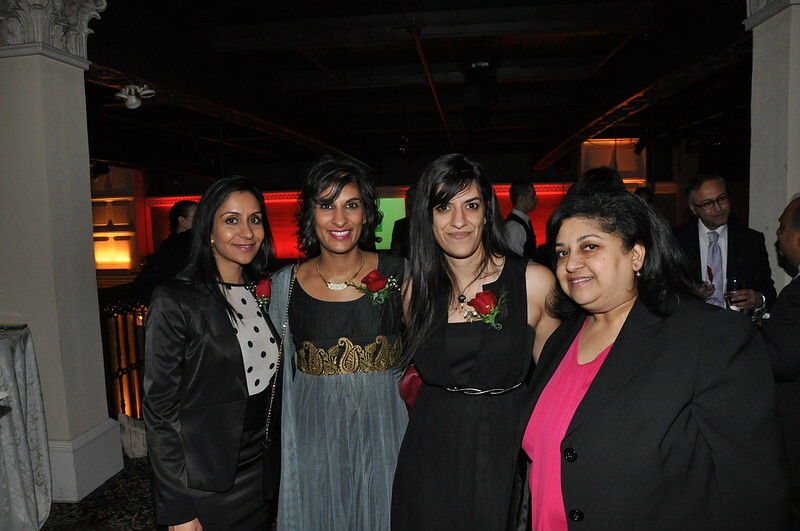 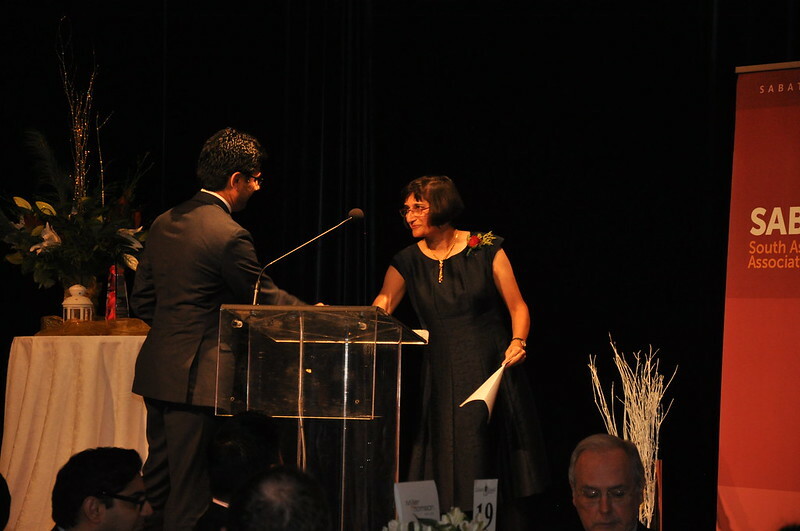 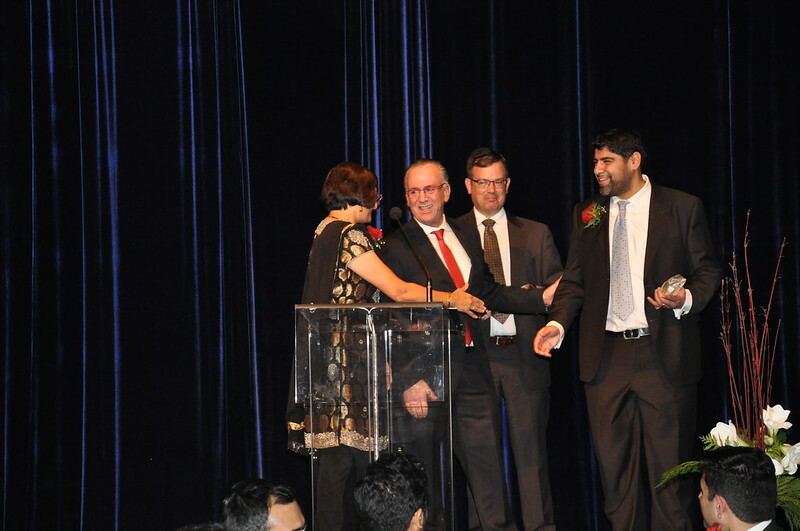 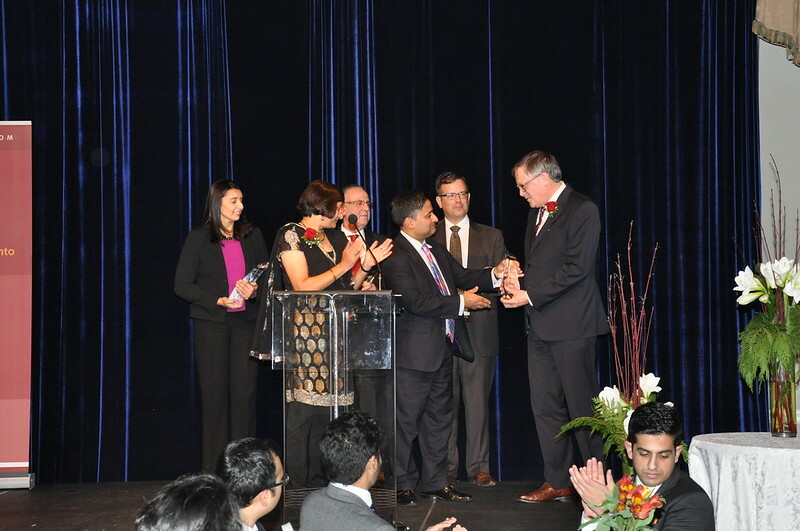 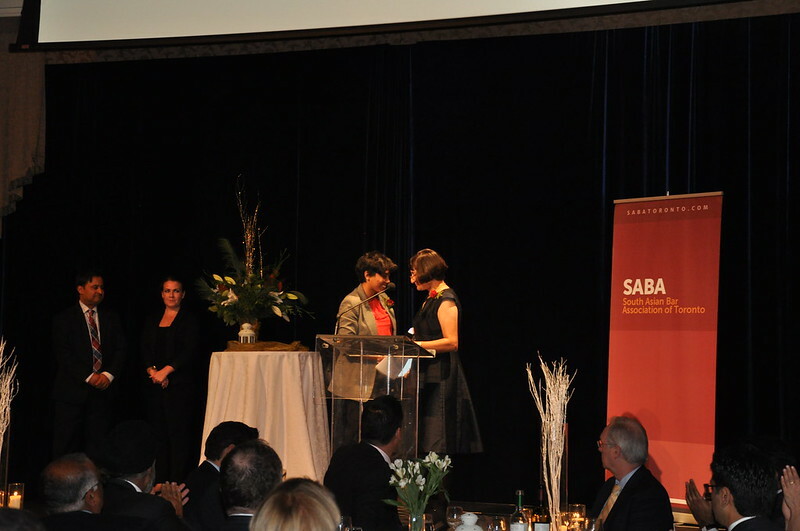 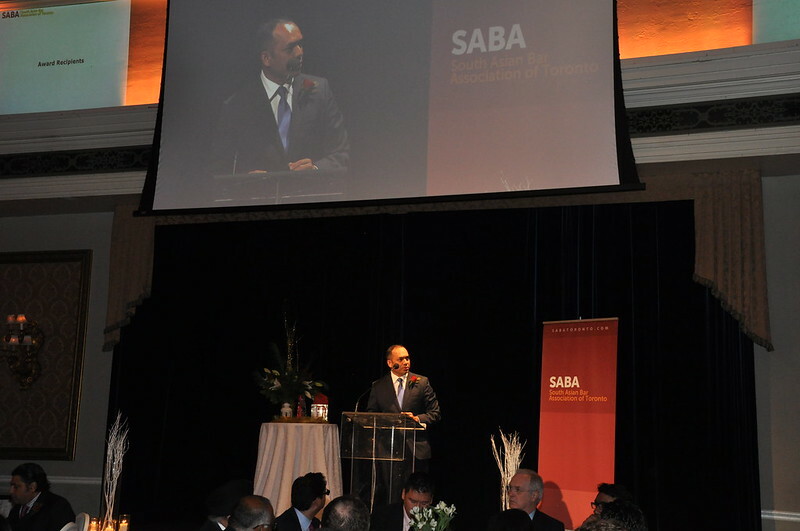 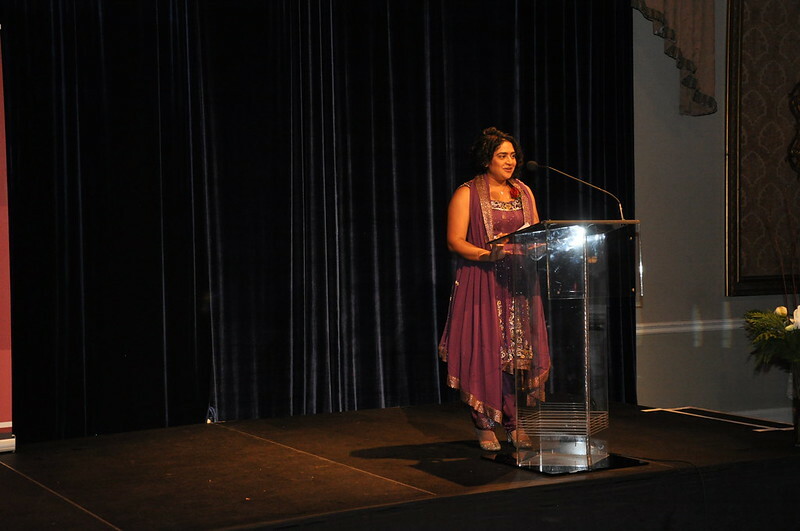 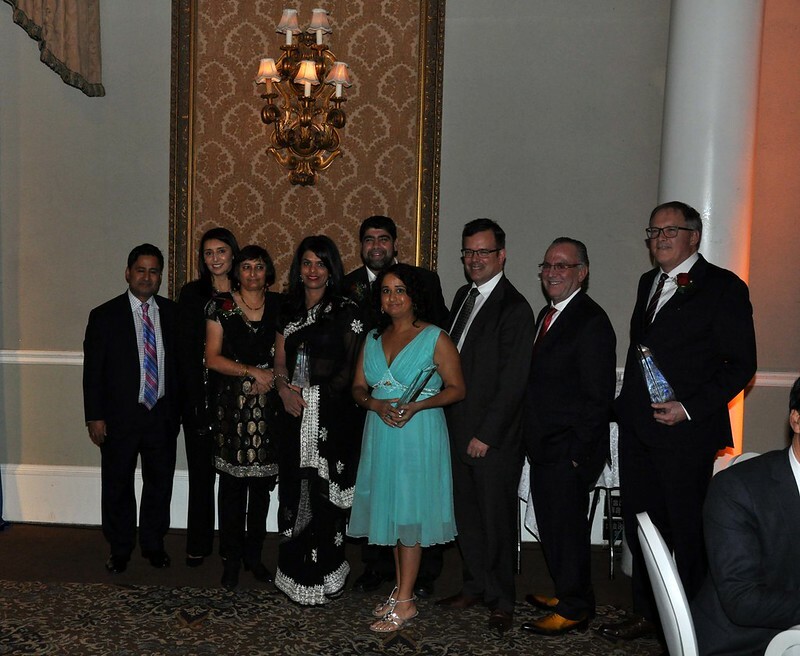 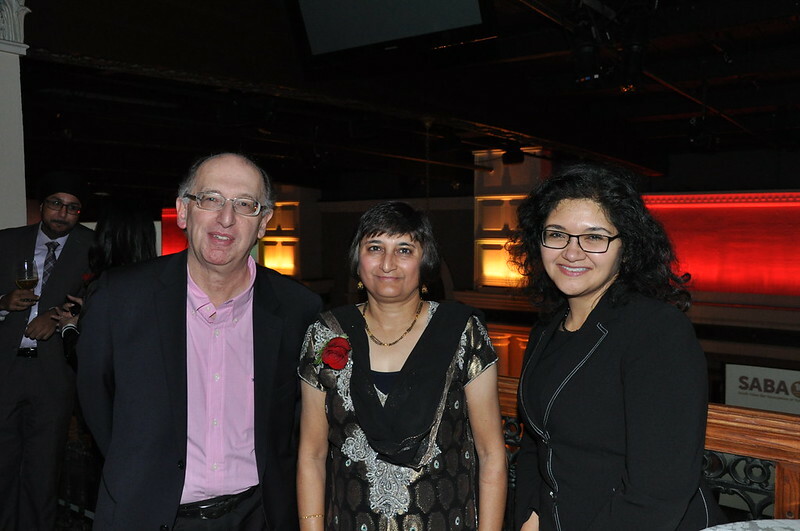 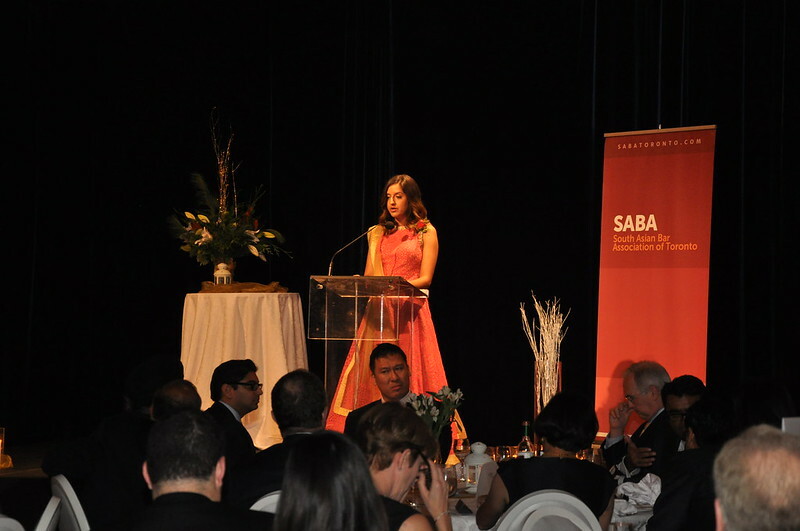 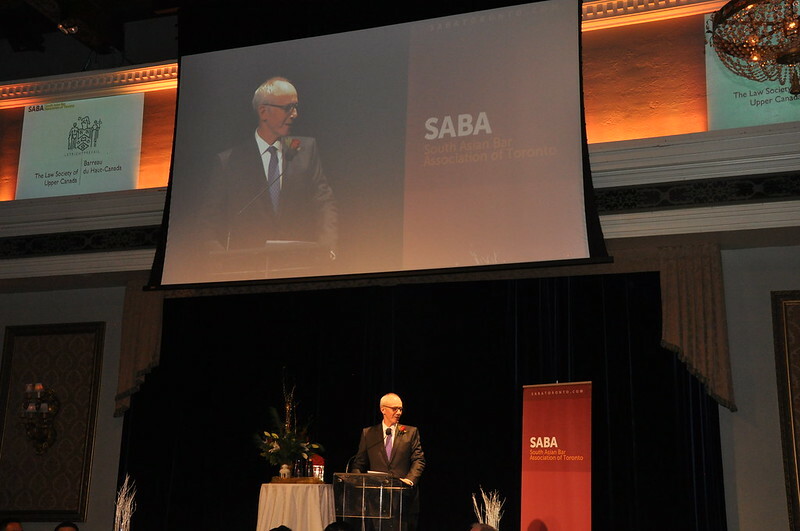 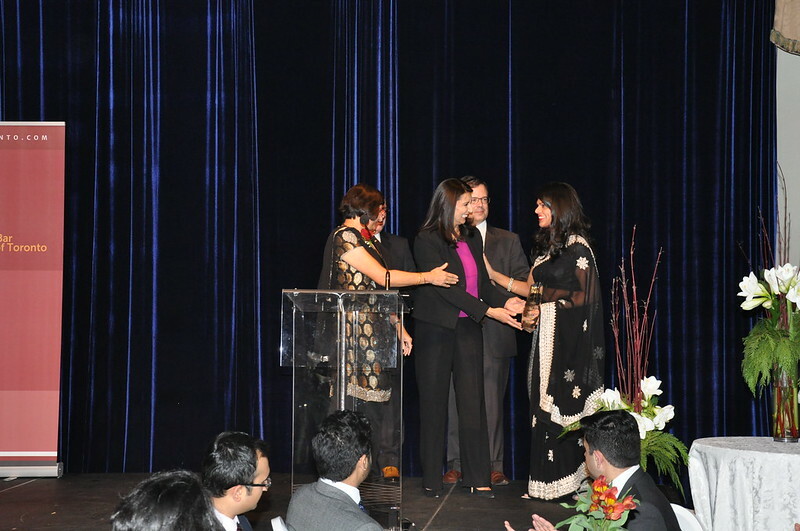 And the Canadian Association of Muslim Women in Law received SABA’s Toronto Diversity Award.